April. I'm new to birding and I'm WILD about this book. LOOK at the great pictures!! Big and Clear. The life cycle info is interesting. The format of this book is tops. You can find out a lot of information fast. The big habitat sections like prairie and grasslands then wetlands, deciduous forest, coniferous forest have descriptive pages before talking about the birds found therein. At the back is a fantastic chart of places (including phone numbers, web sites and emails) to learn more about birds. I'd love to tell you more, but I think I'll run off to Raven Hill! Share the fun of bird watching with the whole family Wild About Michigan Birds satisfies our adult curiosity about birds and is written to include youth, fostering a love of nature for all ages. The vivid photographs and convenient format will have wildlife fans of every generation flipping through the pages with each sighting. For family-friendly activities and classroom learning, this book is a must-have for anyone who appreciates the outdoors. 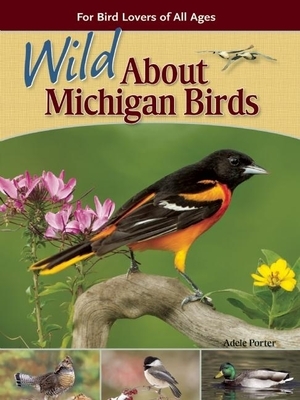 You'll reach for Wild About Michigan Birds again and again.